Boers are like other goats. They like a mix, but I've found they seem to taste the best when they have access to more grass than brambles and the like. What sort of perennial leguminous brush did you have in mind? I see there is a shade tolerant clover. That could work. Have you tried it? I have about two acres that I either need to clear or find a suitable grass to grow on the forest floor. I'd prefer the latter if possible. Why do I want to grow grass? I need to give my boer goat herd more pasture to graze on. Does anyone have experience growing grass on the forest floor that may be nutritious for goats? We're in zone 8a by the way. Woven wire goat fence for pigs? Hi all, I'm getting some pigs soon and I was wondering if some woven wire goat fence would hold them in. I've found a lot of info about using it in combination with hot wire, but not really on using it alone. I am hoping to avoid hot wire as I recently bought a charger and battery for my goats and I really don't want to have expensive energy consuming equipment all over the place. I have a bunch of this 12.5 guage woven wire and t-posts laying around already from a previous project. This stuff withstood big goats climbing, headbutting, etc no problem so I'm thinking it might work with pigs? I should also mention that I am only allowing the pigs to live for 6-8 months before slaughter, so they won't have a chance to get too big. I don't want to keep any overwinter for breeders at all. 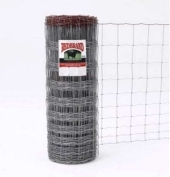 Does anyone have any direct experience using this kind of fencing for pigs without hot wire? If this won't work without hot wire, would hog panels do the trick? How to make ducks oily sooner? Burra - Thanks for the thread, but now I'm just really confused. It seems they are blaming wood chips for ruining the down feathers and claiming mother's oil isn't a factor? My ducks don't use wood chips. They are either on a wire floor, on soil and fresh grass, or in the bathtub throughout the day. Also, in nature, the mother duck places her oil on the ducklings which prevents them from getting waterlogged and allows them to swim immediately. Burra- They receive heat every night with the heat lamps. With all due respect, this is my third flock of over 20 ducklings. I know that a jumpstart on oils is all they need to be more hardy. I simply can't believe there isn't a product or innovative solution out there. Nicole - A few ducks should stay relatively sanitary with a clean water bowl to dunk their heads in. The main thing with ducklings is that they have water deep enough to clean their nostrils out. 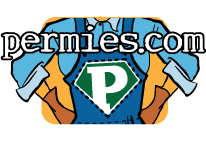 I've never allowed it to get that bad, but I hear they can become pretty ill if their nostrils can't be cleaned. I always use bathtub time with mine because the more a duck is exposed to water, the more they are putting their developing oil glands into practice. Also, it is really therapeutic for them as they are pretty cramped in their night time containers. In my experience, getting them outside in a rabbit tractor and swimming in the tub helps keep them from nipping each other and tearing out feathers. The longer it takes to be fully feathered and oiled, the longer it takes to go outside and be free and out of my hair for the most part. Then it's on to egg laying and meat making! I am in Western, NC in the mountains. This October has been anywhere from 35-80 degrees where I am. It's a very unpredictable month. I want to be very clear so I don't dissuade you or anyone else from raising ducks. Ducks are VERY fragile (and expensive to feed) when young. However, after about 10 weeks of age they are practically indestructible and free. While I have chickens getting coccidiosis or wry neck or Mareks, my ducks are chugging along without a problem. I raise Khacki Campbells and they lay all year long, even when my chickens are taking a break. While I freerange both chickens and ducks, the ducks only require about 1/4 of the feed that the chickens do. They find most of their food in the form of insects and duckweed from the ponds and river. They lay every morning in the coop so I never have to search for eggs. The ducks even come home from foraging every day at 4-5pm like clockwork. They are like the Rain Man of the animal kingdom. They are very organized and predictable once they mature. While I love them both. Overall, I highly prefer my ducks to my chickens if only in an economic and convenience sense. Anyway, I think you are right. I have weighed heavily on the situation and have decided to only let the mothers hatch the ducklings from now on. I'll have to use a broodier breed. I have a Pekin and a Swede that might do it. I'm starting to realize it is much easier (and cheaper) for the mothers to raise ducklings for me than for me to do it myself. However, I really want to find an oil substitute for the time being to try out. You are sort of right. I could definitely give them a shallow dish of water. However, I'm raising about 25 ducks at a time. A shallow dish of water becomes a shallow dish of mud and poop in seconds. Also, if I am putting them outside to play in the colder months as I am now, a shallow dish of water that they can wet themselves with is a death sentence. A duckling cannot regulate its body temperature until as late as 10 weeks without the aid of its mothers oils. I've had a few die just from a light rainfall and mild breeze despite their play area having a roof and some plastic added to cut the breeze. 1. Take all ducks out from rubbermaid tubs fitted with wire floors and place them in a tub to transport. 2. Transport them down the hill where there is more grass and sun. 3. Place them in a rabbit tractor and move it a spot over onto fresh grass. This helps keep them from getting too disgusting and muddy. 4. Feed them and fill up shallow waterers that don't allow for bathing. 5. Come back at night to pick them up. 6. Bath time in the human bath tub with food. 6. Return them to their rubbermaid, wire floor tubs under heat lamps to dry off and sleep. If my ducklings had natural oils like those ducklings with mothesr, they could just stay outside and play in a pool in the rabbit tractor until they were trained where to stay. Water and breeze wouldn't kill them. I've raised several successful hatches of ducks. However, they are very difficult to take care of. I have to give them a bath a day for weeks and weeks and weeks. Is there any way to make them oily sooner like there mother would so they can enter the pond sooner without drowning? Is there some sort of oil that would mimic the mother's preening oil? Will my rabbitry plan work? Blueprint inside. Ohh... I should mention the cages are 36" by 30". Would this still be too small for two does together? I currently have pet rabbits together that seem to get along great. 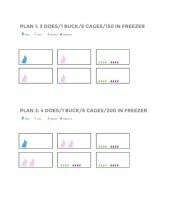 Also, my "in the freezer" amount is the amount of processed rabbits I hope to produce in one year in case anyone was wondering. I'm working under the assumption that one doe can produce 64 in a year, but I'm using the number 50 to be somewhat safe in my estimations.